Weather here is not giving any break from snow and wind chills. With such low temperatures I just dont feel like getting up on weekends. On such lazy mornings, I get little bored of day to day cooking. Only thing which makes me go in the kitchen on weekends is trying something new. If I am doing something different than my regular dishes, I get excited to cook. :) This weekend I decided to make Paneer at home for some wonderful dinner. I have never made Paneer at home before this Saturday and I really wondered why I did not try this before. It is so easy to make Paneer at home rather than buying little costly Paneer from Indian store. Also home made fresh Paneer tastes so much better! Heat milk in a vessel till it boils. Occasionally stir milk to avoid it sticking to bottom. Just before milk rises, add lemon juice. Stir and switch off the heat. Stir properly so that lemon juice gets mixed nicely to milk. Soon milk will separate into small curd like granules and water (whey). The color of whey(water separated) should be greenish yellow. If it is not greenish yellow, it means there is still some fats present in it. Add some more lemon juice in such case. Let this rest for few minutes. When it has cooled down a little bit ( It should still be warm) drain mixture through cheesecloth or any thin cotton cloth. Paneer will get collected in cloth. Make sure you collect the whey too in some vessel. This whey is nutritious and can be used for making chapati/roti dough. Chapatis made with such dough comes out really soft.Also you can use this whey for making gravys. This water helps making gravys cremy and rich. Bring edges of cloth together and squeeze it to remove excess water present. Keep cloth covered panner on a flat surface. Flatten paneer by patting to rectangular shape. Flatten it till you get required thickness. Put any flat surface on cloth covered paneer. On its top place anything heavy. I had put my pressure cooker filled completely with water. Keep like this for 2-3 hours. Cut paneer into cubes of required size. Half gallon of milk will make more than 250 gms of paneer. Enjoy taste of fresh home made paneer! 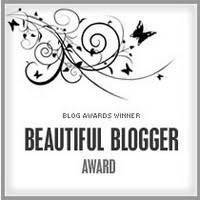 Another thing which brought smile to my face was these beautiful Awards shared with me by my dear blogger friend Jyoti (http://theveggiehut.blogspot.com/). Thank you so much Jyoti! You have such a lovely blog. 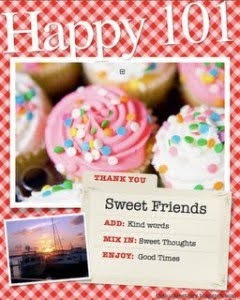 Thanks alot for remembering me. So Sweet of you! First we need to prepare filling. For that, in deep kadhai take grated coconut and jaggery. Heat this mixture over low-medium heat. Keep stirring this frequently. Soon jaggery will start melting. Heat this till jaggery and coconut mixes properly and nice homogeneous mixture is formed. Turn off the heat and let this mixture cool down.Our filling is ready now! Now we need to make cover. Make this just before you want to prepare modak. We can not prepare and keep this dough aside. In a deep kadhai bring to boil 1 cup of water. When it starts boiling add 2 tsp oil and 1/2 tsp salt. Lower the heat and add rice flour immediately. While you are adding rice flour , keep stirring mixture with other hand. Mix this quickly taking care that lumps are not formed. Cover with a lid for a minute. Switch off the heat and take dough in a plate. Apply oil to your palms. Now when dough is still hot, knead well. Don't forget to apply oil on hands. Knead this dough properly so that no cracks are present on dough. Cover dough immediately. Take care that dough is warm till we complete preparing modak. Make a lemon sized ball of this dough. Keep remaining dough covered. Apply little oil to hands. With both hands, flatten ball of dough to make it in a shape of Puri. Thickness should be little thicker than puri. Keep coconut filling( approximately 1 1/2 tbsp) at the center of this. Pinch edges at 4-5 places. Bring all edges together at the center and close them at the top. Make remaining modak with the same procedure. 11. For steaming, take a stainless still sieve and apply little oil to its bottom. Keep modaks inside this sieve taking care they do not stick to each other. 12. In deep vessel add water so that vessel is filled 1/4 th. Keep sieve with Modaks on top of the vessel. 13. Cover sieve with a lid. Heat vessel for 10-12 minutes till Modak get steamed. Delicious Modaks are ready. Serve hot with ghee on the top. I have more than one reason to be happy today! 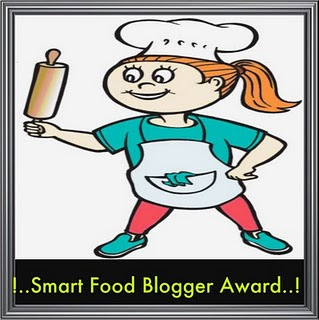 My blog was selected as last week's winner for the Foodie Blogroll "Comment to win a copy of Sanjeev Kapoor's Party Cooking Book" contest! I received this book today and I am really excited to see all new and amazing recipes in it. 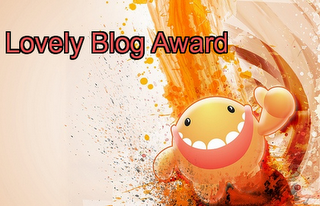 Thanks to foodie blogroll for this awesome reward. 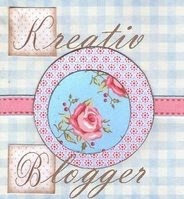 Another wonderful thing is my blogger buddy Aparna (http://ladiesspecialadukkala.blogspot.com/) has shared Kreative Blogger award with me. She has very beautiful blog. 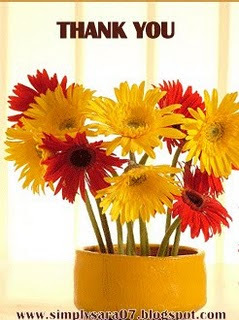 Thank you so much Aparna for remembering me. So sweet of you! Drain the water. Grind urad dal to a coarse paste. While grinding add very very liitle water. You can simply sprinkle water; just enough for making a paste. Add remaining ingredients to paste except oil and mix nicely. This step is very important for making vadas nice and fluffy. You need to beat the batter with egg beater so that air gets incorporated in batter. This aeration will help in making vadas fluffy. I got one very nice trick from video of Vahchef(VahreVah.com) for this. To check wheather aeration is done or not, drop small dollop of batter in a bowl filled with water. The batter should float and should not sink to bottom. If it sinks, beat batter for some more time. Heat oil in deep kadhai for frying. Apply water to your palms. Make a lemon sized ball of batter. Flatten it a little bit and make hole in it by thumb. Slide it gently in oil. Deep fry on low-medium flame till it turns nice golden brown in color. Enjoy hot wadas with Sambar or coconut chutney. 1 1/2 cup Urad dal makes mediun sized 18-20 vadas.